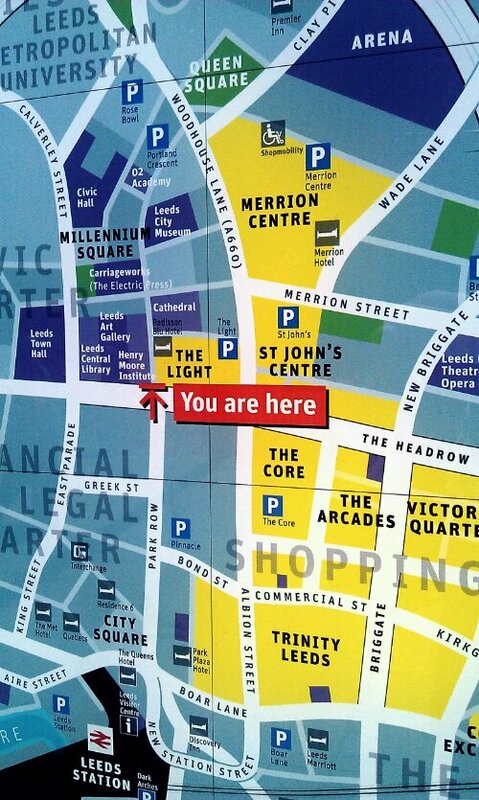 I was in Leeds with my daughter the other day, and she was asking how far away a particular shop was. I noticed one of the new maps they’ve been putting up recently, and went over to show her where the shop was, and where we were. Wait a second. Let’s take a closer look at that map. 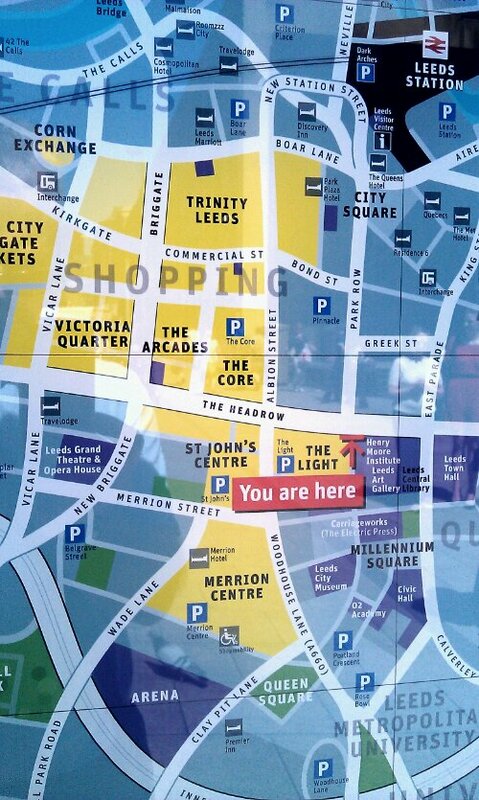 Now, eagle-eyed residents of Leeds (or anyone familiar with the city) will notice something interesting about this map. Go on, I’ll give you a second. The map is, from a traditional map-reading perspective, the wrong way up. North is usually at the top, right? However, this map made perfect sense. The map we were looking at was on the north side of the stand, and we were facing south. Therefore, everything in front of us physically was ‘up’ on the map. We quickly checked the other side of the map display. Facing north, everything ‘up’ on the map was north. Neat bit of design there, map-makers. Nicely done. someone is now going to tell me they’ve been there for *years*, I’m sure. don’t worry, they can’t possibly have been up years as places like the arena and Trinity are on there. Ha! I never noticed that before. I will have to check them out next time I am in Leeds and also now feel like investigating the Manchester ones too. Isn’t it great how a small shift can make a map accessible for people who aren’t so map savvy? 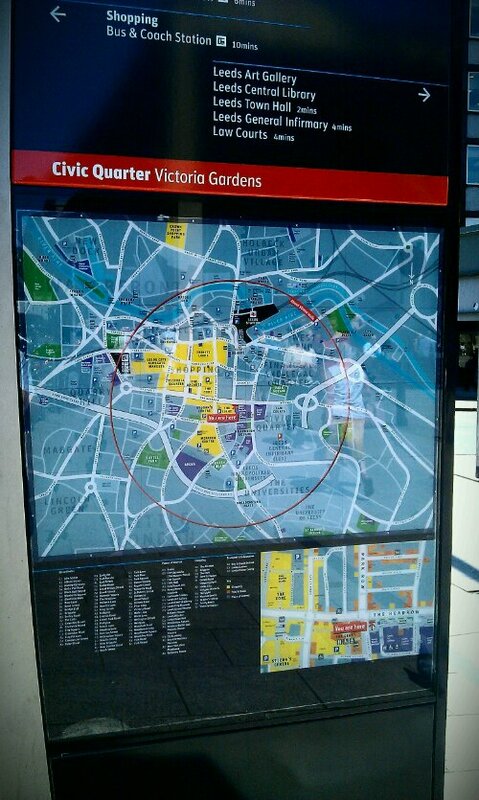 would love to know if the Manchester maps are the same, or if it’s just local to Leeds!